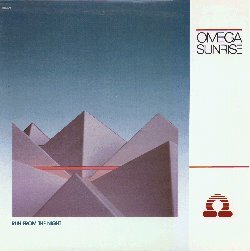 Omega Sunrise was a band that recorded and toured from 1979 through 1986. 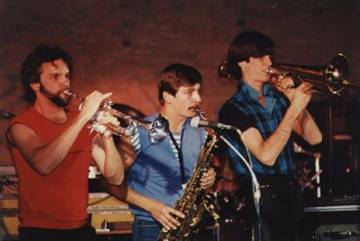 In 1983 they recorded their first album on New Jerusalem Records titled "Feel the Change." In 1985 they recorded their second album on Morada Records titled "Run from the Night." The album "Run from the Night" did fairly well with several songs charting in localized markets around the US. 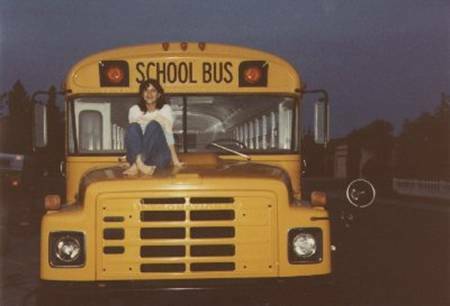 After touring through most of the 48 states in the US for 3 years with a schedule of about 8 months on the road each year, Omega Sunrise played its last concert in the summer of 1986 at a club called the Wild Blue in Fresno, California. 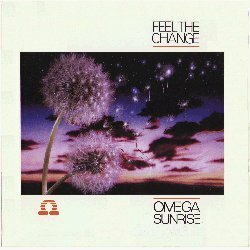 In the 2009 Omega signed a contract for a re-release of "Feel the Change." It was released on CD August of 2009, and you might still be able to find copies on Amazon. Several people have posted songs/videos from both Omega Sunrise albums on Youtube, so I won't bother posting them here. 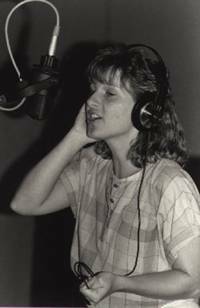 Debbie works on some vocal parts at Maximus Recording Studio in Fresno, California for the album "Run From the Night." 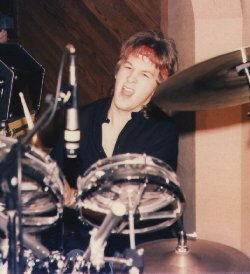 The Omega Sunrise session is the first major session for Maximus opening their new studio in 1985. Jeff Hall and Rick Seaberg running the studio at the time blocked out Studio "A" for about 6 weeks for this project. Thanks Jeff and Rick for all the hard work and fun! 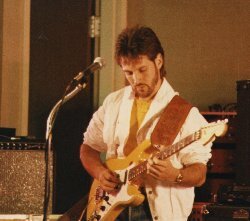 Mark playing his banana yellow strat during a concert on the road in the fall of 1985. This was probably the Wichita, Kansas concert. It was about 30 degrees below zero wind chill the night before. Mark remembers it well as the freezing cold shattered the paint on his brand new guitar. From left to right: Ron, Dave, and Paul. The horn section for the band. 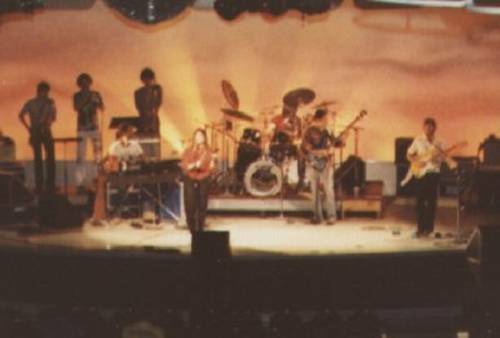 This was a concert in Spokane, Washington shortly after recording "Feel the Change." Paul works on drum levels during the recording of "Feel the Change." Recorded in the summer of 1983, several of the songs charted in localized markets around the US. 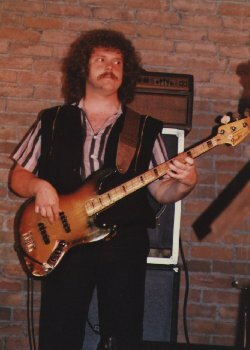 Mike Berkowitz plays bass during one of his first tours with the band. The band had 2 bass players during the 3 years…Both named Mike. Must have been a prerequisite. 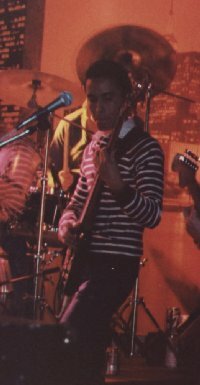 Mike Gonzales playing bass during a tour shortly after the recording of "Feel the Change." 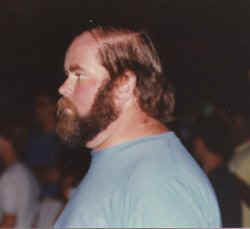 Mike G was the first bass player for the band, and co-writer of several of the songs on the first album. 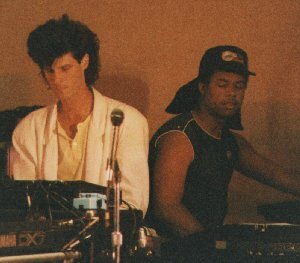 Paul and Reggie working over the keyboards during a concert. 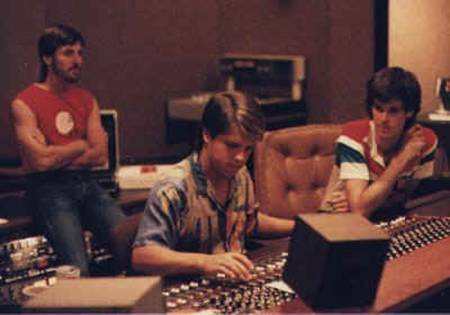 Mark and Paul work with Rick at the console mixing "Run From the Night."